Returning to Work or School explore how to successfully return to school or work as a breastfeeding mom. 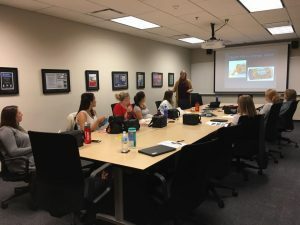 This class covers on-campus lactation spaces, the importance of pumping schedules, and a guide to help conversations with your supervisor and colleagues. This is a free class open to students, faculty, staff, and spouses/partners. Facilitated by a certified lactation consultant.